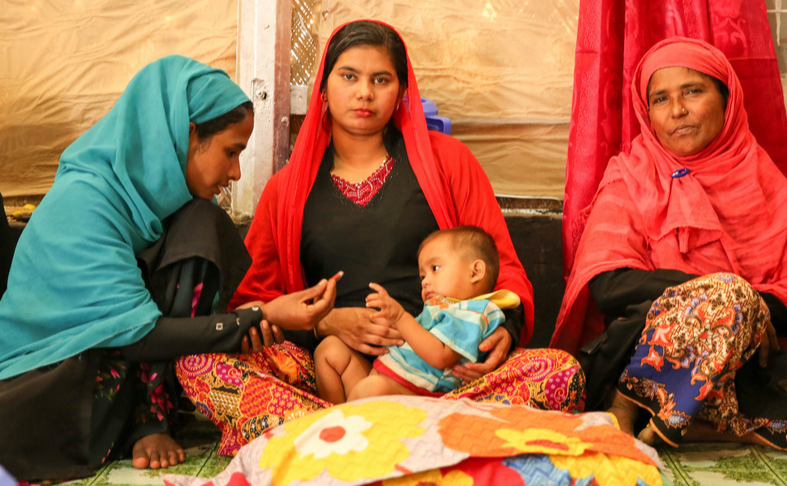 The UN Migration Agency (IOM) have carried out over 400,000 medical consultations in Cox’s Bazar, Bangladesh since August 2017, the agency has reported. However, concerns are growing that a funding shortfall will cut services just as monsoon season strikes. IOM is one of the largest medical providers in the refugee camp which is home to over 1 million people, 700,000 of which arrived after last August. The agency supports both refugees and host communities with a host of medical concerns from pregnancies to road traffic collisions. Of the 400,000 consultations more than 1 in 10 have been with children aged five or younger and in the last 4 months the IOM have conducted 13,000 antenatal sessions and assisted with over 700 births. However, the agency is appealing for urgent financial support to maintain their healthcare services in the camp as monsoon season approaches, bringing with it an increase in health risks. The monsoon season is expected to increase cases of watery diarrhoea and cholera in the camp as poor sanitation, dirty water and cramped conditions will exacerbate the spread of communicable diseases. IOM gas established hospitals and treatment centres across the camp, for example the Kutupalong Extension Primary Health Care Centre (PHCC) sees over 200 patients a day. Dr. Andrew Mbala, IOM’s Health Emergency Coordinator in Cox’s Bazar emphasised that the health risks that monsoon season will bring can be avoided, but only with sufficient funding.